It was filthy, and I didn't buy it; but, when I got home, I looked up cast iron on the Internet, and, according to the Internet,(lololol) cast iron could be cleaned in a self cleaning oven. To make a long and very smoky and stinky story short, that worked. One of the first things I relearned about cast iron is how easy it is to burn yourself. 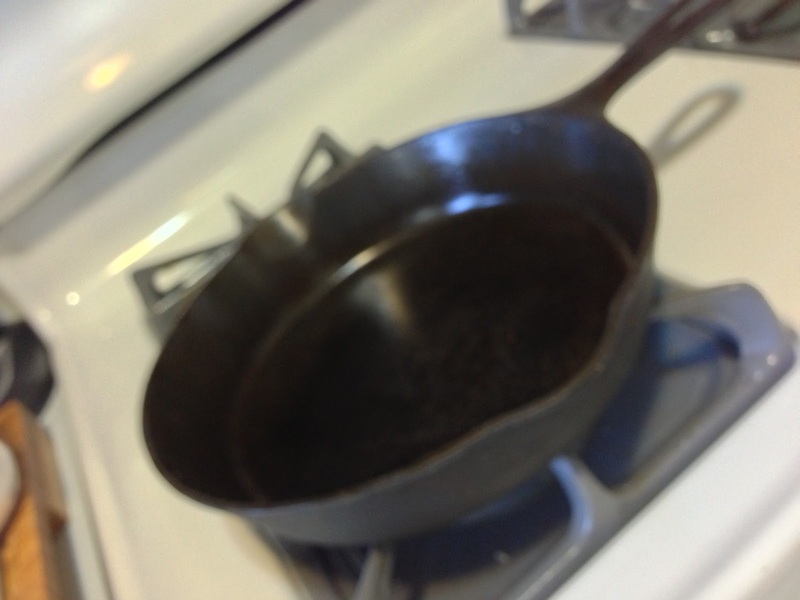 The cast iron holds the heat much longer than stainless steel, requiring a different technique from cooking on gas. You no longer have the ability to easily regulate temperature. My first effort was a grilled cheese sandwich, using Alpine bread and Kirkland sliced cheddar cheese. Honestly, I was impressed by the taste and crispness, I hadn't cooked with cast iron in almost 40 years, and I had forgotten what great things it can do for food. My Panko covered eggplant for lunch was a learning experience, in which I learned: when the heat is even, the slices need to be even too. 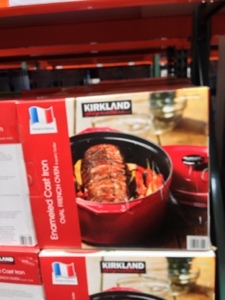 Today I noticed the West Nashville Costco has the cast iron cookware on sale. 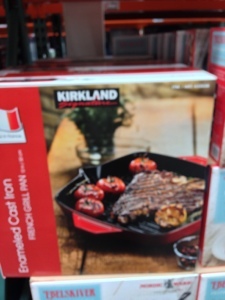 The prices are great, if you want a griddle with ridges or an 8 quart cooker, go quick.